Playing with function and sculptural form Alentes presents these display trays. 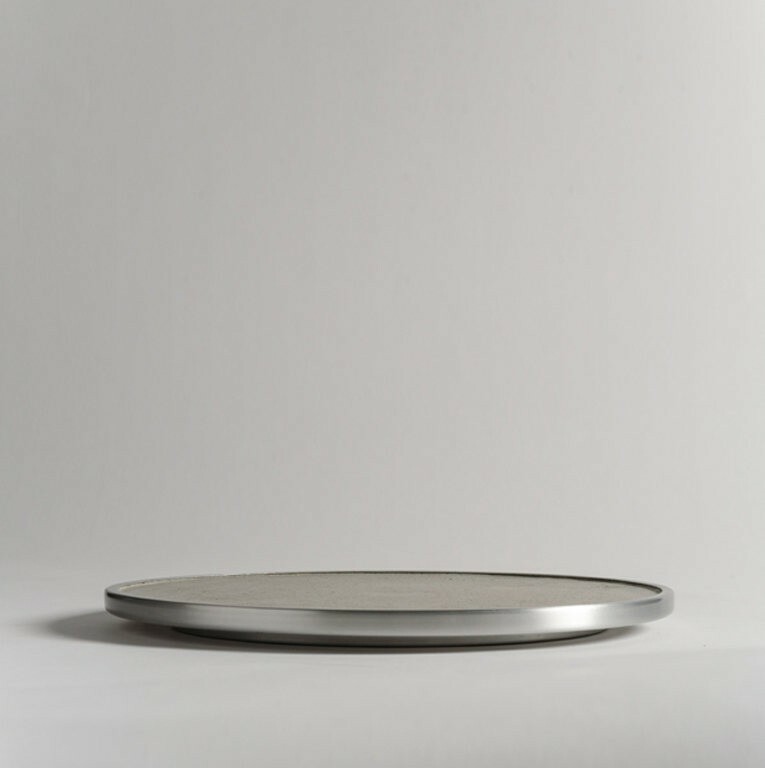 The elegant silhouettes of these trays bring an architectural tone to any setting. 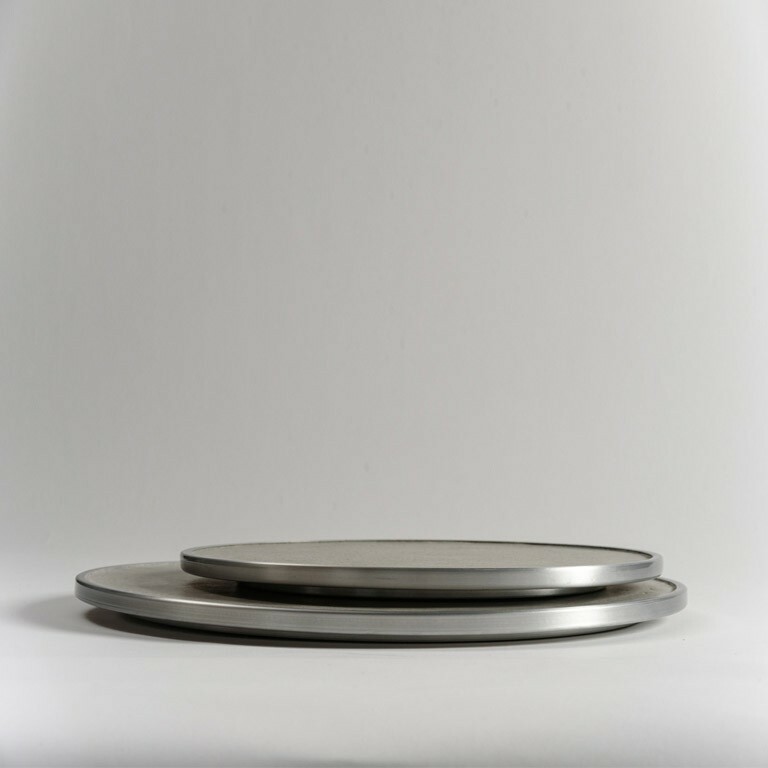 The metal trays are made from hand spun aluminium with cast concrete infill in three colors: white, grey and black. The warmthness of the concrete surface is complimented with the hard metal finish rim detail of the tray. Made from our own aggregate of stone, marble and cement. High in durability, this object is near care-free. Slight variations in size and color are due to the use of natural materials and to the handmade nature of our products – each is unique. All items are handcrafted in our workshop, pairing high end quality standards with great personal care.